Contains: Crozier Blue min. 350g, Shepherd’s Store min. 250g, Crossogue Country Fruit Chutney, Sheridan’s Brown Bread Crackers 120g. Contains: Cashel Blue® min. 350g, Crozier Blue min. 350g, Crossogue Country Fruit Chutney, Sheridan’s Bread Crackers 120g. 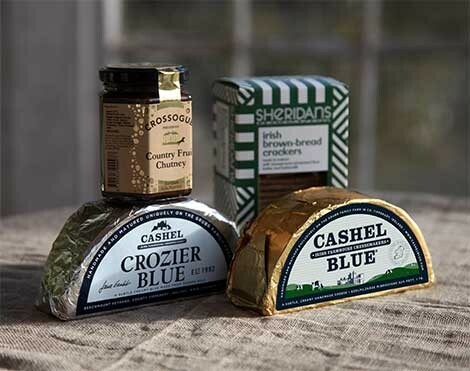 Selection of Sheep’s Cheese and Organic Cheese, with handmade Irish artisan accompaniments. Contains: Cashel Blue® Organic min. 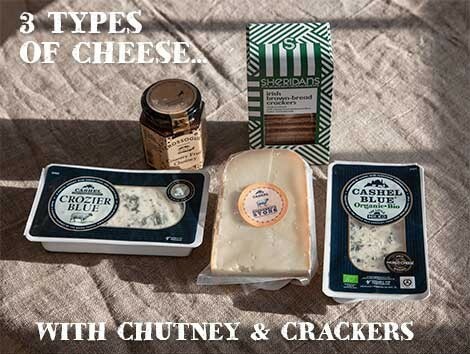 125g, Crozier Blue 175g, Shepherd’s Store Sheep’s Cheese 200g, Crossogue Country Fruit Chutney, Sheridan’s Brown Bread Crackers 120g. 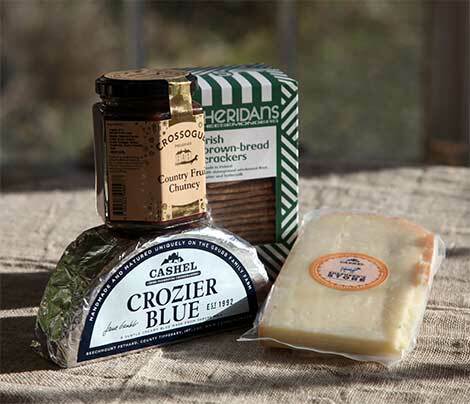 600g of our mature Cheese with Irish Artisan Accompaniments; Boxed and Gift Wrapped, and sent in an insulated box. 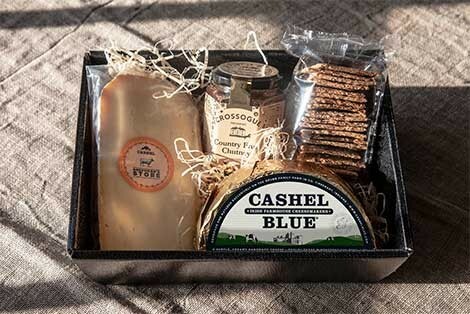 Contains: Cashel Blue® min. 350g, Shepherd’s Store min. 250g, Crossogue Country Fruit Chutney, Sheridan’s Brown Bread Crackers 120g, Gift Box, Cellophane wrapped.